Days of leisure! Love them! Ok, really it has just been the past 2 days. 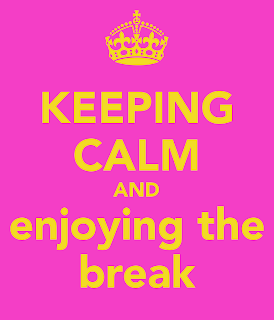 It has been very nice just hanging out around the house, visiting with family and friends, and getting caught on reading blog posts and Twitter feeds from some of my favorite bloggers/tweeters. Thought I would share some pics of my week . . .
My daughter's girl scout troop is working on their Bronze Award. On Monday, several of the girls came over to get started. 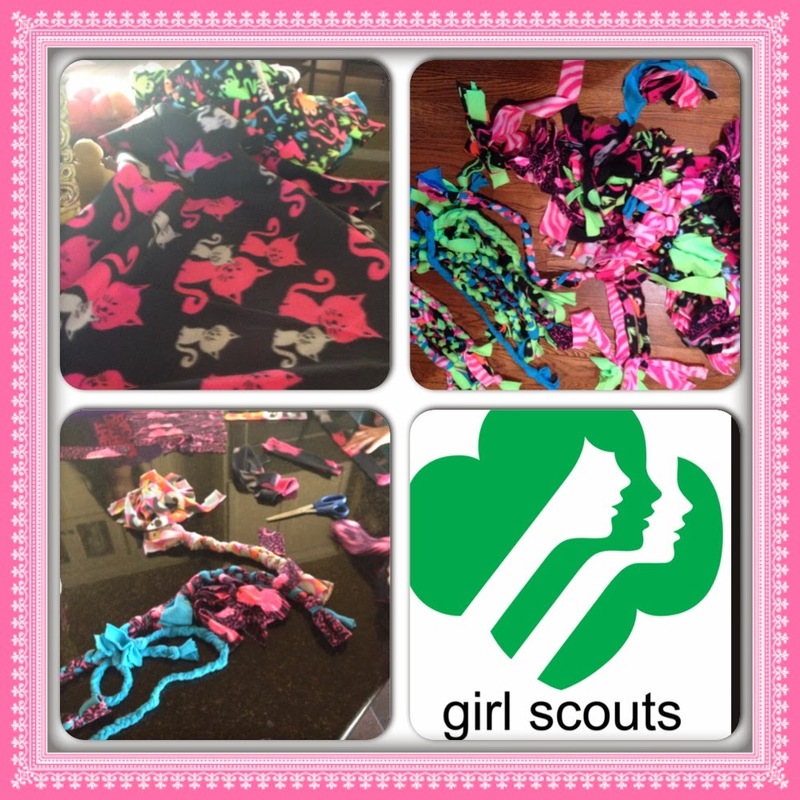 They choose to make fleece dog and cat toys for the local animal shelter. The plan was to work for an hour, have some lunch and play Just Dance Wii tournament. After an hour and a 1/2, I had to convince the girls to take a break! These girls also want to loom knit preemie baby hats! Committed to their causes! A wonderful friend always invites us over for Christmas Eve dinner. We love hanging out with her and her family. Fabulous food, plenty of beverages and a gift exchange. This year, the theme . . . Useless, but Fun! It was hysterical! Some fun, but useless gifts . . Flip flop foot massager, electric nose hair clippers, Magic 8 Ball, chocolate Santa and . . . bacon lip balm and toothpaste! Let's just say, I did not try to steal it. 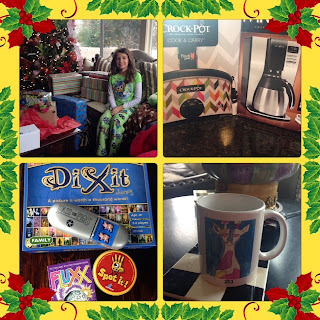 Christmas morning! My brother sent some really fun games! Spot it! Too fun! DiXit . . . a storytelling game. Players get 6 random cards with beautiful pictures. The storyteller tells makes up a word, phrase or sentence. Each player hands a card to the storyteller that they think best represents the storyteller's phrase. Everyone votes on the on the secret story. Points are awarded to the winner. This would be a great game for the classroom. A picture is worth a thousand words! 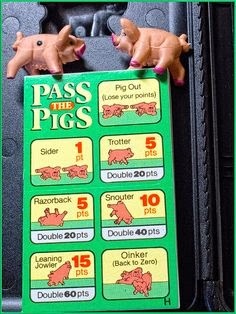 Pass the Pig, showed up in my daughter's stocking! It was perfect for after dinner! Roll the pink piggies, gain or lose points depending on how the little piggies land! My fabulous new beverage dispenser! Filled with cucumbers and mint! Tomorrow, oranges and berries! My quest to drink more water . . .
GoPro3+ camera . . . I have some grant money to spend for my campus. This is such a cool camera that I'm considering. 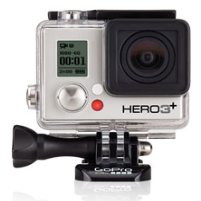 It is a video camera that can be attached to a helmet, chest harness, a pvc pipe . . .
A day in the life of . . . record a field trip, class celebration, school assembly . . . hum, can't decide! I simply LOVE your cute water dispenser! I should drink more water too, but it's so, so boring. I think if you dress it up with fruit and certain veggies, it makes it taste better. And when it's dispensed so adorably, you can't help but want it, right? 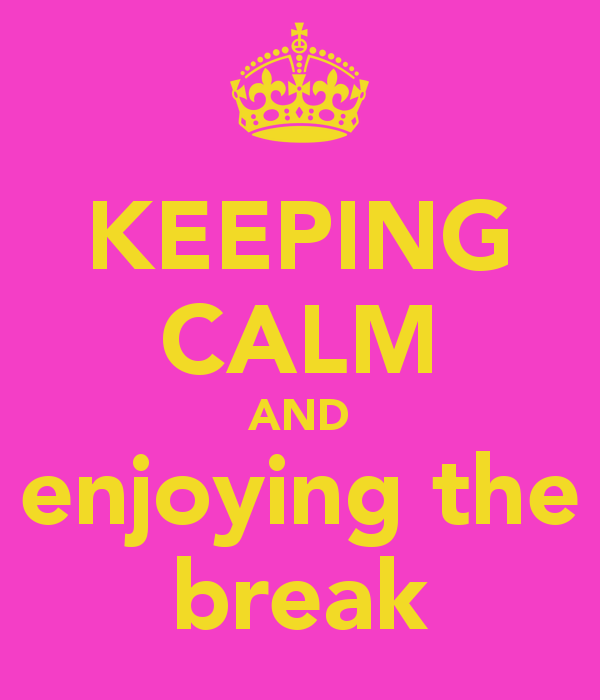 Enjoy the rest of your vacation! Thanks! My daughter is starting to put in requests. . . strawberry water! "Hour of Code" and some Kinders!